When it comes to attorney lead generation, a balanced attack of digital marketing best practices is your ultimate weapon. 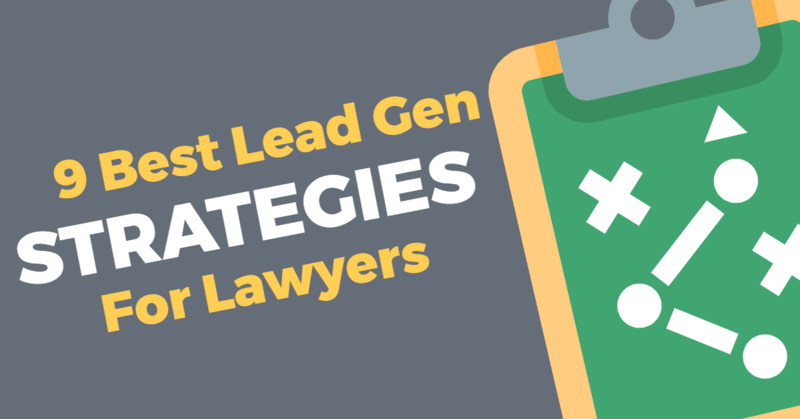 Generating leads is one of the biggest challenges for most lawyers and law firms because much of the B2B marketing world is unfamiliar territory for the business owner. Your law firms website is the lynchpin of the entire operation. This is where you’ll convert leads into paying customers by capturing their contact information. Your website is the hub of your online presence and where you’ll want to invest the greatest amount of time. Spending time on any of the following strategies is time well spent because they all have to potential to explode the number of leads coming in. The bottom line is, if you don’t have the basic website optimization strategies in place, you’ll have an extremely difficult time capturing new leads. 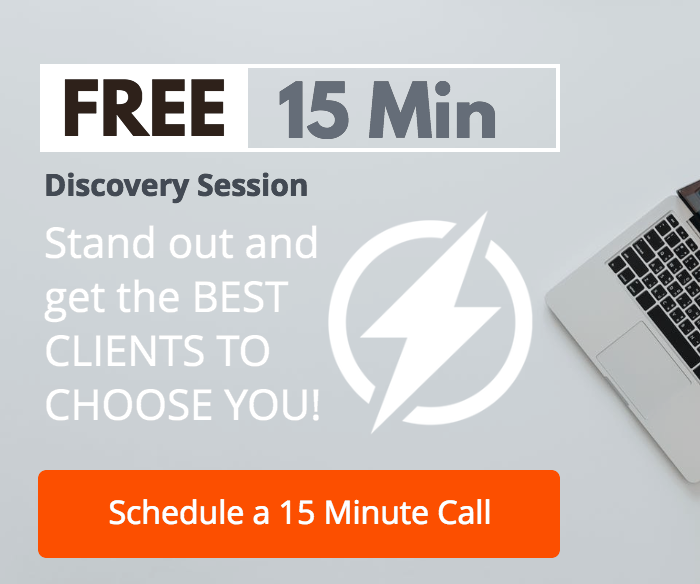 If your website is unprofessional or incomplete, rest assured this will negatively affect your practice and the number of new leads coming in. Your website is not just a reference of contact information or a “business listing”, it’s the single most important part of your overall marketing strategy. With a solid foundation in place, you can now begin to optimize your website to attract more visitors and generate leads. The following digital marketing strategies below will help you drive qualified traffic to your site, that will eventually “convert” into a lead. A website can convert a visitor into a lead by getting the user to enter in their contact information on a form. The form will include the essential details needed to follow up with them including their name, email address, and phone number. The details of the form will then be delivered to your inbox, outlining the specific details of each contact. A solid attorney lead generation website will deliver multiple inbound contacts per day, which can then be filtered down and prioritized. A form builder is an essential plugin for websites looking to capture leads. There are many form builder plugins available for your website that will allow your visitors to provide the essential details your practice needs to follow up. With a proper lead capturing system in place on your site, you can now focus your efforts on scaling the number of form-fills on your site. If you can increase the amount of website traffic you get, you can increase the number of leads you generate for your law practice. Put the following 6 marketing strategies into action to increase the amount of website traffic your site receives. Writing helpful blog posts that cover an aspect of the legal industry can be a great way to engage with new prospects. Keep the information valuable and specific to target certain keywords your target audience will be searching on Google. The key to successful blogging is consistency and tone. Speak the language of your target audience so they can quickly make a connection with your brand. Use your expertise as an attorney to offer useful advice to potential clients in need of answers. The blog posts make excellent content to share on social media and provide a big boost to your SEO. Blogging is the cornerstone of any content marketing strategy and should be considered one of your top priorities when it comes to optimizing your website for lead generation. Search engine optimization involves the strategies business owners and marketers use to make sure that their content is seen in the search engine results pages. Almost everybody searches for specific answers to a question online, and search engines like Google help them find it. I believe that content marketing is the best way to generate more traffic to your website and eventually generate more attorney leads. Content marketing includes more than just the written material on your blog, it’s also videos, webinars, ebooks and more. The key to content marketing is sharing valuable information with your audience to become an authority on the topic. This strategy can have a ripple effect on your overall online marketing strategy, as useful content will naturally attract links from the around the web. This boosts your site’s SEO and leads to even more traffic from the search engines. Who would have thought providing free information that people find useful could have such a positive effect? Social Media marketing has its place when looking to attract more attorney leads. However, it can be easy to get carried away with this strategy because it’s arguably the most fun. LinkedIn, Facebook, Instagram and Twitter are the main 4 platforms you’ll want to have a presence on. Re-purpose your blogging content on these social networks to attract more people to your website. Remember to link back to your website as often as possible to convert the social media engagements into leads. Email marketing is one of the best ways to communicate with your audience because it is so direct and personal. The right approach to email marketing will keep your brand top of mind so that a prospect may consider your law firm in the future. You can build an email list of qualified prospects by capturing this information when they fill out a form on your site. Once they are on your list, it’s just a matter of “nurturing” them to convert into a paying customer by providing them with useful and highly actionable information. Online advertising is a cost-effective and measurable way to drive more traffic to your website. The benefits of advertising online, whether its through Facebook ads or Google AdWords, is that you can target a very specific audience. Through Facebook, that’s by isolating your target customers by demographics, and on Google AdWords, through the search terms they type in. This is often referred to as PPC advertising (pay-per-click), and can be very effective at driving new qualified leads to your law firm. This market has become increasingly more competitive year after year, so it may be best to consult with an online advertising professional like us.